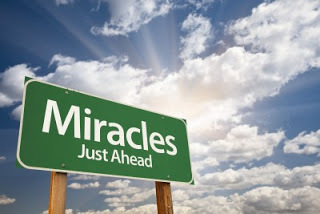 I’m not saying that miracles can’t and don’t happen anytime and anywhere, but seeing miracles is a daily occurrence in my job. And then I remembered. James was terrified of the Accelerated Opiate Detox process. He had heard some horror stories about the ultra rapid detox done under anesthesia, but even more than that, he was terrified to give up his dope. It had become a very reliable friend to him. He had a three-week old son at home, and he knew he wanted to be the kind of dad this little one deserved. So he took a deep breath and went through with it. Checking on him the first couple weeks after he was done, James was struggling with anxiety and sleeping issues. We encouraged him, gave him some tips, urged him to continue with the therapist we’d helped him find and assured him what he was feeling was normal. And now, here he was, two months later. The 145 pound, 6 foot, acne-ridden guy that was with us in January was transformed. James has put on 15 pounds. His skin is clear, his smile is huge. He proudly flashed us a picture of his son. Look for another miracle story in the next couple days. *I don’t use anyone’s real name, and I change details that might identify a patient.